We read electric meters once every month. Our meter readers, electric utility workers, and the fire department personnel must have access to all electric meters at all times. Contact and meet with the Electric Department at 419-633-6120 for advice on the best location for the electric service. When work on the meter base or main breaker is needed, please give us 48 hours notice to disconnect the service. Only Bryan Municipal Utility personnel are authorized to break or replace a meter seal. If you believe someone is tampering with an electric meter, please contact us immediately at 419-636-6120 or electric@cityofbryan.com. 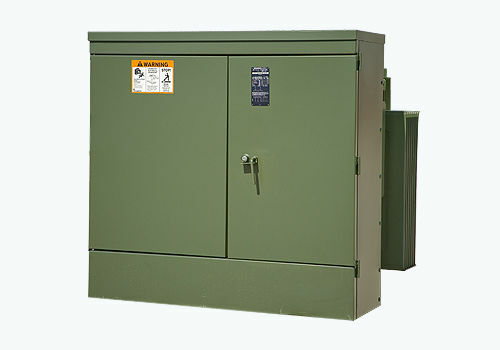 We assist our Large Power customers in determining transformer size and placement. We also offer a discount for customers who purchase their own transformers. The Electric Department will determine the location of the transformer and whether it is metered secondary or primary. Customers are responsible for placing the conduit pathway. In most cases, a state wiring permit is needed. The customer is also responsible for pouring the transformer pad and 4 point grounding grid. If we supply the transformer, we will also provide drawings for the pad dimensions. Working with your maintenance personnel or electricians, we can use our 3-phase analyzer to assist 3-phase customers in troubleshooting electric problems. Call the Electric Superintendent at 419-633-6122 for more information.